Hi friends, my name is Dennis but I am not a menace! 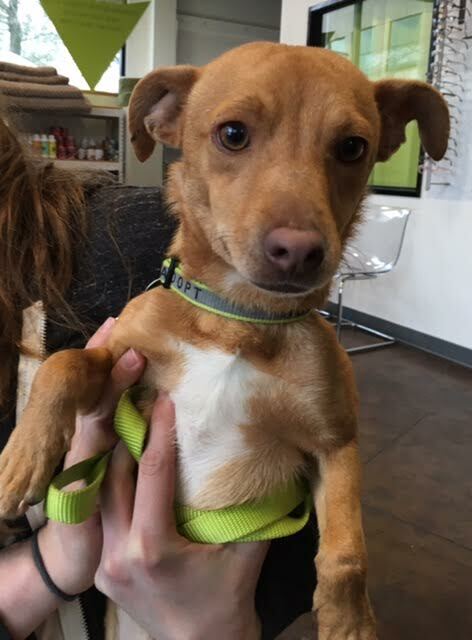 I am a 1 year old chihuahua mix who is still adjusting to this new environment in Portland (I traveled here from a southern California shelter). I am a total sweetheart with a sensitive side so I would be better in a home with kids 10 and up. I would do well with kitty cats and other dogs and I really love people! I am basically a sweet, sensitive, warm, gentle little guy just looking for a home to love me 🙂 I come fixed, vaccinated, and micro-chipped and my adoption fee is $250. Do I melt your heart? Then fill out an application and send to Pixie so we can meet!